By these words Bishop Fellay publicly opposed the old SSPX adage of “no canonical agreement prior to a doctrinal resolution”. 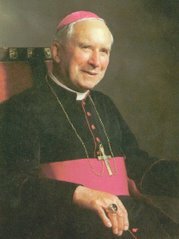 In other words, he publicly adopted a position in opposition to that of the SSPX founder, Archbishop Marcel Lefebvre, who from the 1988 Consecrations onward clearly and firmly held the position that Rome must accept the pre-conciliar Magisterial teachings prior to the resumption of discussions regarding a canonical regularization. It is true that there were almost two years of doctrinal discussions between Rome and the SSPX prior to this sermon, but the conclusion reached was that each party could not convince the other of its position. My friends, does this make any sense? The SSPX starts the doctrinal discussions with Rome in 2009 with the position that the doctrinal differences between the two parties must be resolved prior to any canonical regularization. Then almost two years of discussions are held after which both parties cannot come to an agreement on the doctrinal discrepancies. Nonetheless, soon after Bishop Fellay is willing to accept a canonical regularization so long as Rome accepts the SSPX “as is”. Huh?